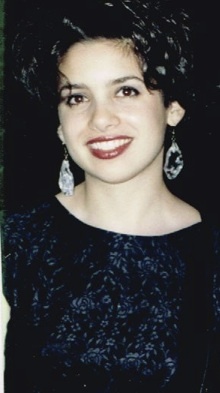 After I finished last week’s YouTube video about my 1980s dress and motorcycle jacket, I realized I never mentioned the original ’80s earrings I was wearing during the accompanying dress/jacket photo shoot. How could I forget these big earrings? I’m a jewelry designer who forgot to mention the jewelry! The shame! Especially after we took so many photos showing the earrings. 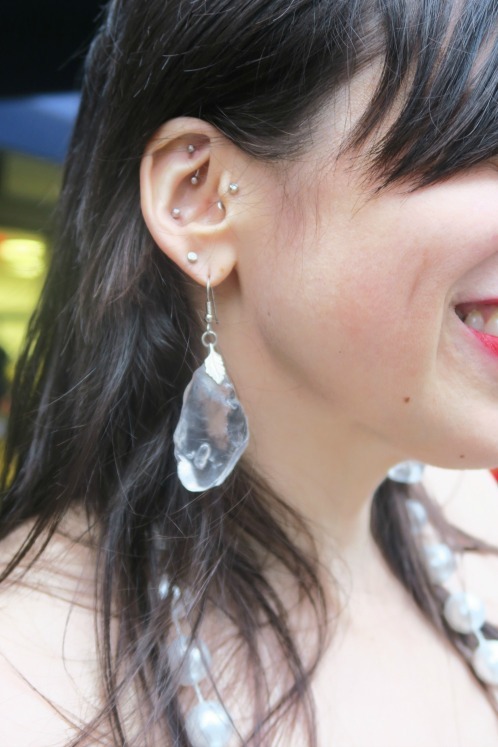 When I originally wore these earrings, I only had one piercing in this ear. It’s not that I’ve never shared these earrings before: I wrote about them and my other 1980s jewelry in a 2012 post. I even dug up a photo that is probably from 1987. 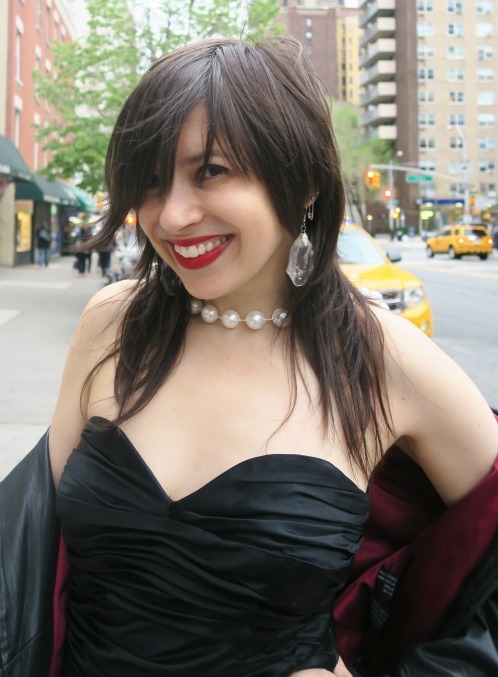 But I never took any new photos with the earrings on … not until I wore the 1989 dress. I’m making up for last week’s neglect by focusing on the earrings — and Edie Sedgwick — in this week’s video.